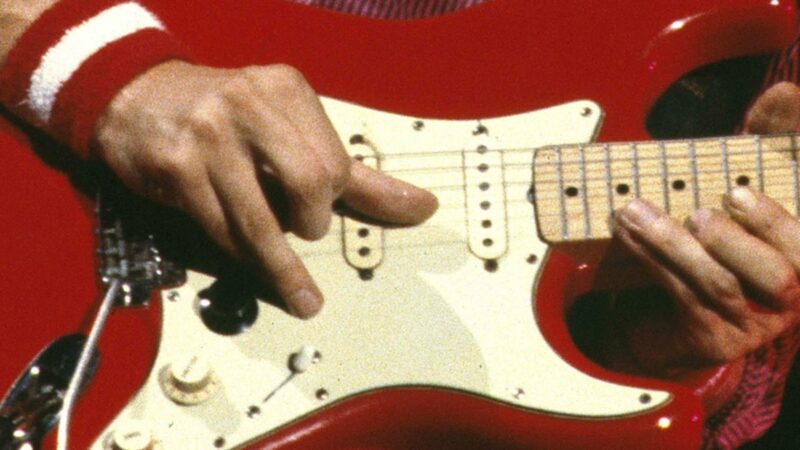 Whenever people are listed who influenced Mark Knopfler to come up with that Dire Straits sound, you more or less will find the same names: J.J. Cale, Bob Dylan, Hank Marvin, Ry Cooder, Eric Clapton, sometimes Django Reinhardt or Richard Thompson, etc. I remember that I was surprised to hear another name, a band that I had never heard of before. This was in the “Unauthorized Mark Knopfler Biography” by Myles Palmer. Palmer wrote a book about Mark Knopfler based on interviews with all kind of people who used to know Knopfler before Dire Straits or around the time they started, even people like his school teachers or work mates. I think it was Dave Pask, the lead singer of the Cafe Racers, the band Mark Knopfler played in just before Dire Straits, who mentioned how enthusiastic Mark was about the Amazing Rhythm Aces, an American band that sounded like a mix between Lynnard Skynnard (‘Sweet Home Alabama’) and country roots. The guitar solo reminds me of things like Down to the Waterline. The melody itself has not much in common, but both the chord changes (A and E compared to G and Bm; note that Bm is the minor chord to D, and G and D would be the same one note lower), and the way the solo takes over after the verse create a similar feel. The first song of that album – “Typical American Boy” – is also stunning. Spelling typo – Lynyrd Skynyrd if you please !! LOL! Thanks Paul, this is one I (or nobody 🙂 ) will never learn. @Marco I know what your saying there . In todays economy its tough to find a job that pays well and is stable . I have discovered that if you just work hard and are consistent you can go places . Look at the poster of this article, they are oviously a hard worker and have just been consistent over time and are now enjoying at least what would appear as somewhat of a success. I would encourage everyone to just keep hustling and moving forward.